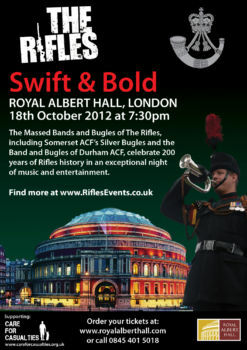 On Thursday 18 October members of the bands of Somerset ACF and Durham ACF will perform at the world-famous Royal Albert Hall alongside The Massed Bands and Bugles of The Rifles, the regiment to which both ACFs are affiliated. 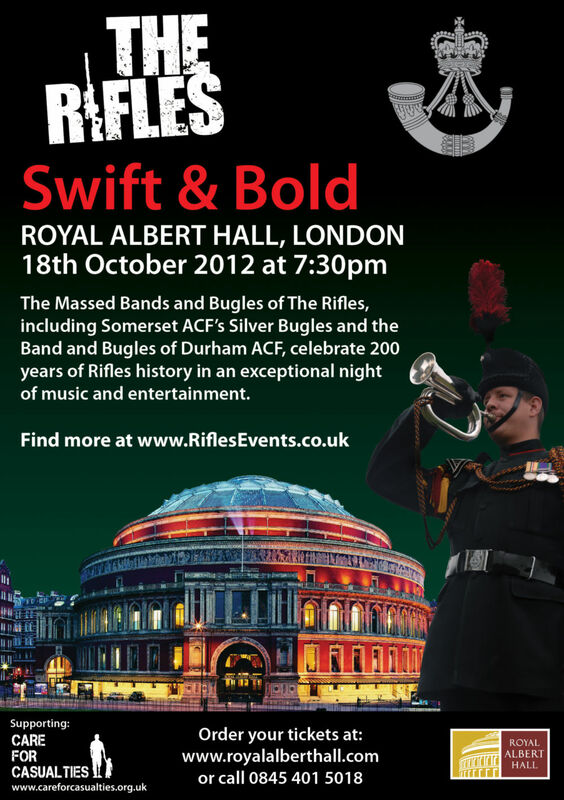 Called 'Swift & Bold', the concert is being held to celebrate 200 years of Rifles history, and to raise money for Care for Casualties, the Rifles' own charity that supports severely wounded Riflemen, their families and the families of the fallen. Tickets range from £15 to £60 and can be purchased from the Royal Albert Hall website.